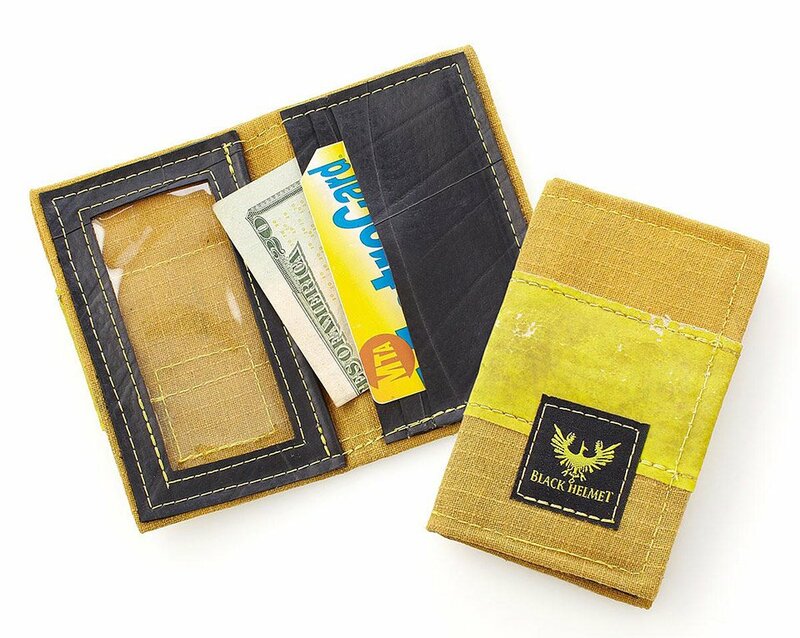 Firefighter James Love’s Black Helmet makes wallets from decommissioned protective bunker gear. Each one is handmade, and offers three card and cash slots, as well as see-through ID holder. He also makes a dopp kit from the same materials.